Practicing the advanced technologies, XongoLab Technologies follow transparent mobile app development methodology thereby setting standards for perfection. This makes XongoLab one of the leading companies amongst the top mobile app development companies in Singapore at GoodFirms. Fostered with a passion to deliver an exceptional web & mobile app development services, XongoLab is a leading company rendering these services in India with years of quality experience globally. Being a small scale company, XongoLab delivers corporate aids on a large scale at extremely reasonable rates. The company has touched the heights of success and created benchmarks due to the unbeatable quality of service-offerings in different areas inclusive of hybrid apps, business apps, gaming apps, etc. XongoLab with the commitment of quality service guarantees to deliver the final product after parsing it through the stringent quality testing processes. GoodFirms performed thorough research wherein the researchers minutely assessed the services of XongoLab Technologies. This evaluation process involves three preordained set of criteria – Quality, Reliability, and Ability. The highly skilled research team at GoodFirms evaluated the service performance of XongoLab by using the research traits mentioned above. Below is the detailed performance summary of XongoLab Technologies and its categories. 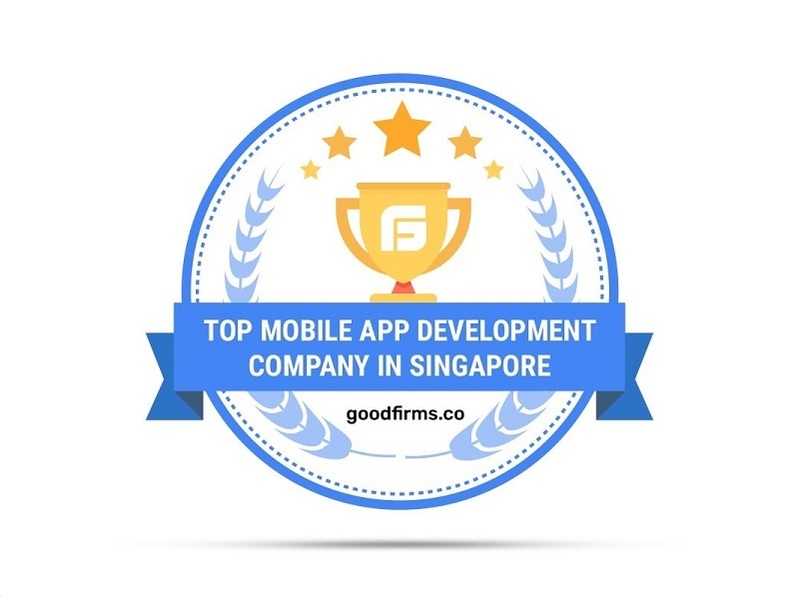 GoodFirms has ranked XongoLab as one of the reliable & leading mobile app development companies in Singapore among the top companies. The company develops gaming apps which help the client to build their business brand & recognition while improving levels of client commitment. The company is also rendering custom-made mobile app solutions considering the client’s budget, which gives high-end results. At XongoLab, the expert developers help the client to unfold their idea into a real model of innovation through a stable mobile development process. The services are inclusive of – enterprise app, consumers app, react native apps, smart retail apps, blockchain app, on-demand app development, and many others. The expert in-house team develops and delivers phenomenal business results through ios apps reflecting panache. They are also dealing with Android apps using the latest technologies like Android SDK and delivers bespoke apps meeting the clients’ requirements. Believing in creativity and clientele experience as the foundation, XongoLab delivers custom-fit WordPress solutions. The in-house talented team of developers is having enough knowledge with WordPress development sphere. The team is powered with the potential to convert ideas into realities. The exceptional services rendered by the company is coupled with reasonable rates, which allows it to serve clients around the globe. Being a professional WordPress development enterprise, it offers WordPress design as per W3C standards. Ergo, the company is equipped towards delivering solutions which makes the content management easy and effective. Using cutting-edge eCommerce technologies, XongoLab guarantees that each customer who hits the user’s eCommerce store gets a pleasant experience. The company’s eCommerce developers are adorned with expertise and experience to render superior eCommerce development services like eCommerce app & website development, custom e-commerce web design, shopping cart & plugin, and 3rd party payment gateway development. These services magnify web and app execution with promising outcomes. The company is well focused on creating an eCommerce website templates by placing images & content conscientiously. The attempts are made on generating ROI for the clients business. This stupendous performance by the company, raise the expectations of the GoodFirms’ researchers that XongoLab will be one of the leading e-commerce development companies enlisted at GoodFirms. Washington, D.C. based GoodFirms is a maverick B2B research and reviews company that helps in searching the mobile app development, WordPress web development, and e-commerce development companies offering unique services to its customers. GoodFirms’ extensive research process ranks the companies, boosts their online reputation and helps service seekers pick the right technology partner that meets their business needs.